Facebook has pushed out a new update for its iOS app, adding a feature that sees videos automatically play as you scroll past them. Like it or loathe it, the version 6.8 update introduces the mandatory auto-play function, which follows in the footsteps of Vine and Instagram. Like Instagram, the sound will be muted unless you actually click on it, but if you want you can alter the settings so that video and audio start playing together in harmony. While it won't be embraced lovingly by everyone, the good news is that you can set auto-play to Wi-Fi-only if you're watching the old data allowance. 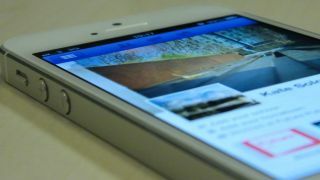 Facebook also told TechCrunch that it plans to roll out the feature to the web version of Facebook. This means that everything is in place for Facebook to start rolling out those 15-second autoplaying ads that are rumoured to start appearing soon. Right now this is just on the iOS app, but we've asked Facebook when the same feature might roll over to other platforms and will update when we hear more. So what can the iPhone 5S do, then?